Posted <2017-10-29 Sun 19:48> by Aaron S. Jackson. 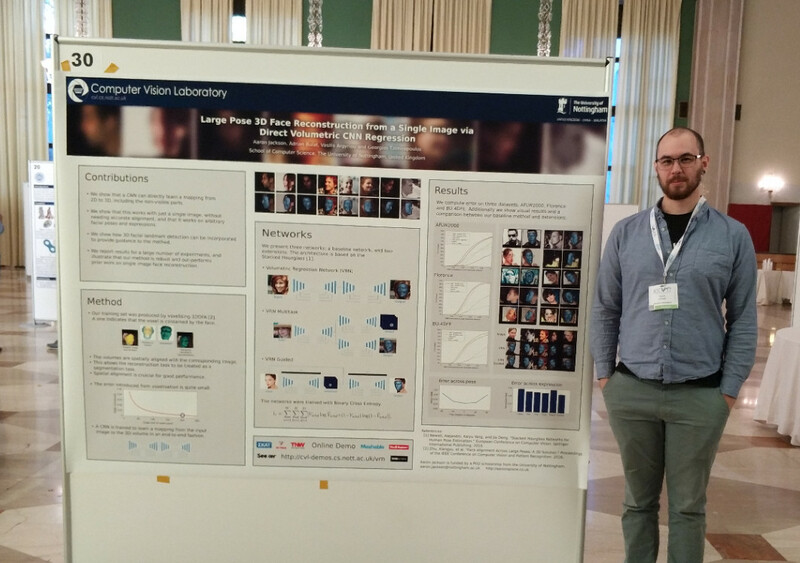 I got back from Venice last night (well, this morning) as I was attending ICCV 2017 to present the poster on our 3D face reconstruction work. It was quite a tiring poster session, starting about 20 minutes early and finishing half an hour late. Feedback was positive and the questions were quite interesting, so it was a pleasurable experience over all. Unlike ECCV, last year, they did not give us a T-shirt, the cakes weren't very good and the tea was terrible. There were some interesting companies but I didn't manage to get a MATLAB hat. 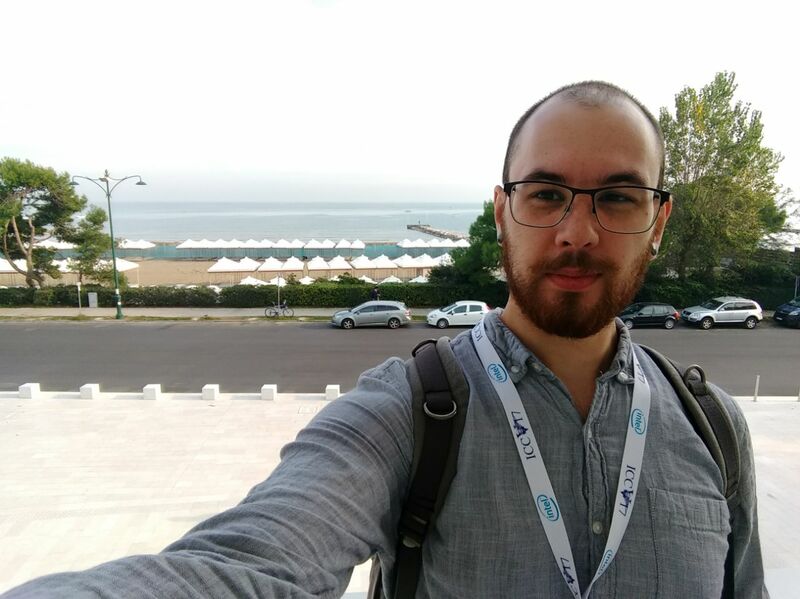 Here's a picture from before the poster session started, I can tell you that I did not look as energetic afterwards. Despite being October I still managed to obtain three mosquito bites.